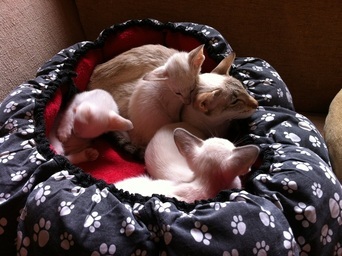 The kittens have all decided to move out of their nest box now and onto my sofa. 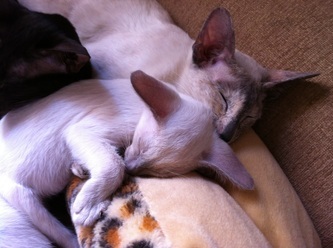 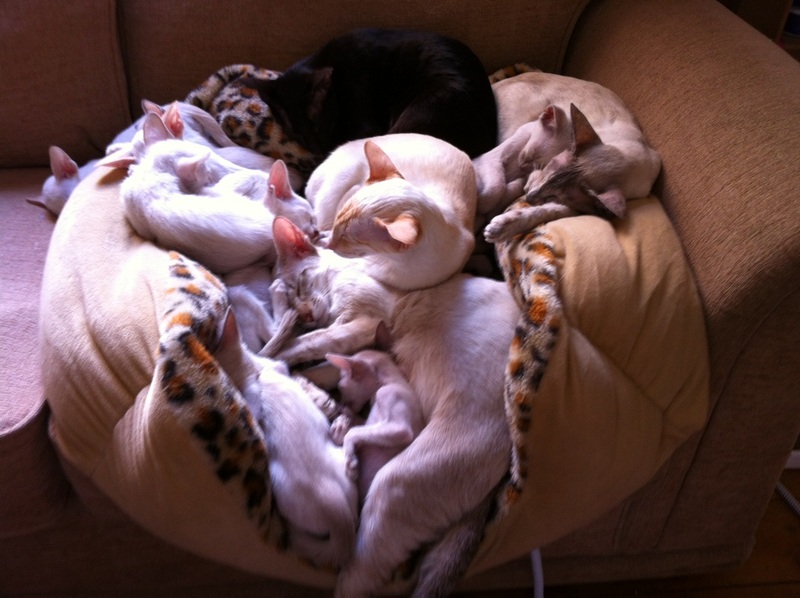 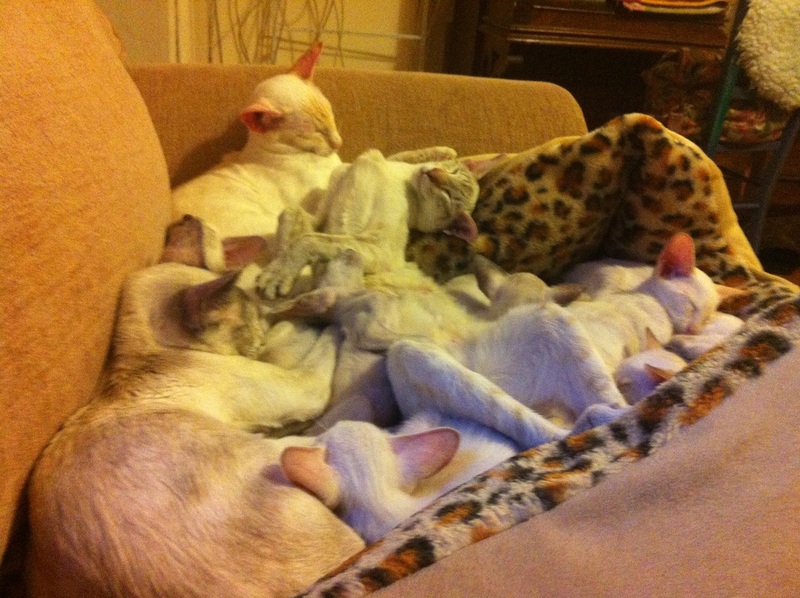 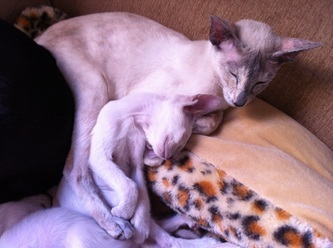 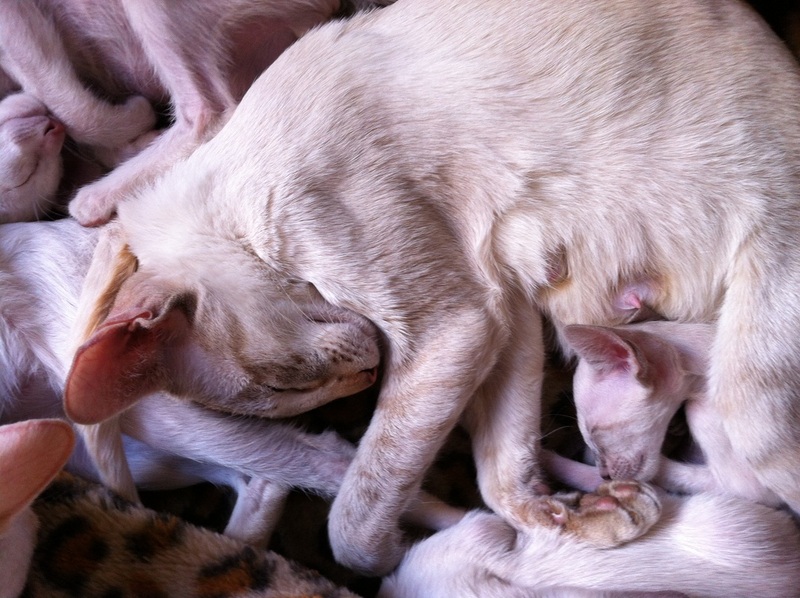 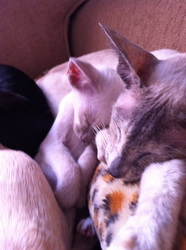 It is quite a sight to see four or five cats with thirteen kittens all sleeping together in a huge heap! 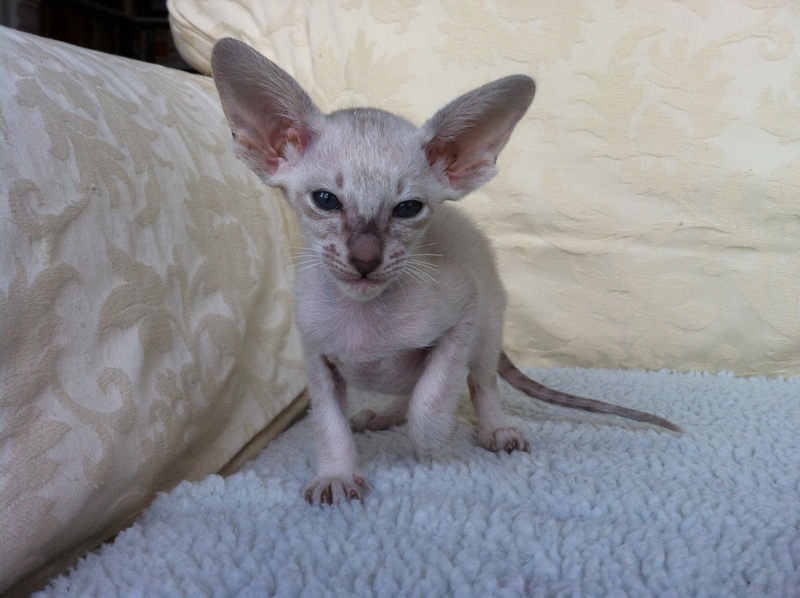 The kittens do have lots of mums and aunties to take care of them and they must be the most cleaned kittens in Newcastle. 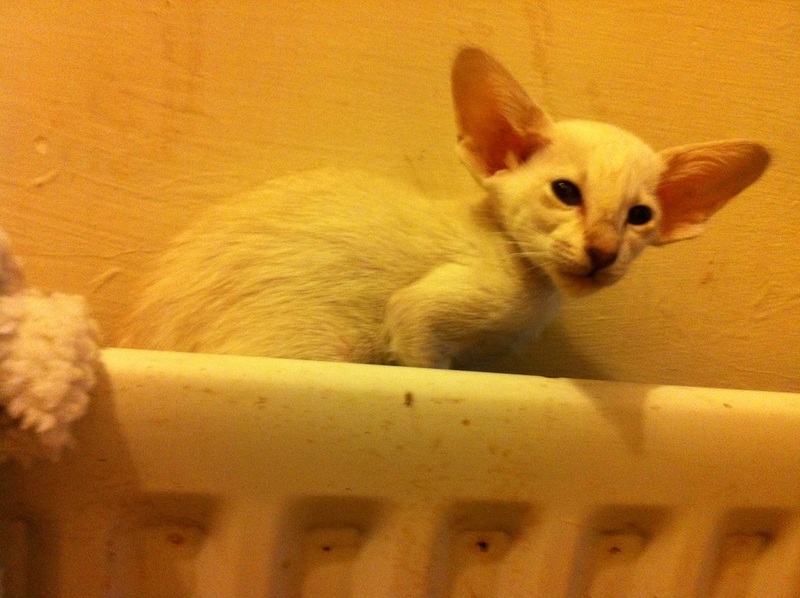 The kittens have no shortage in confidence and naughtiness, they all like to climb to the top of the cat climbing tower and certainly aren't scared of heights. Little Starling is still continuing to struggle compared to her litter mates. 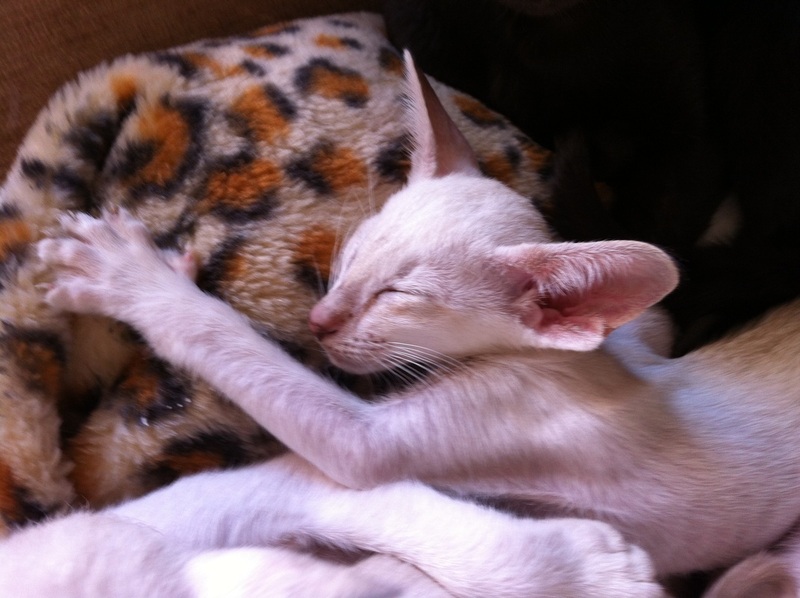 She is a fiesty girl who loves to play but it is touch and go whether she will make it sadly. 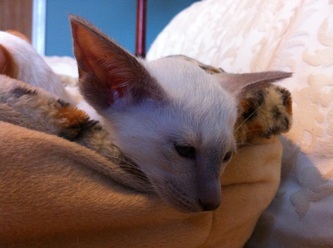 Thankfully I have super vets who are taking good care of her and we can only hope for a recovery. 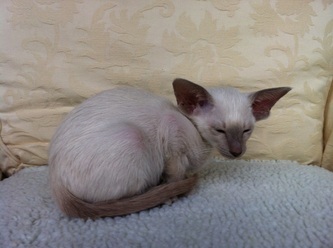 Wren and Lark are looking for homes in May 2012. 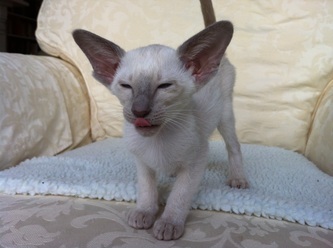 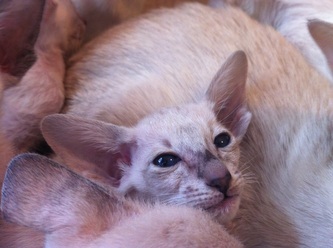 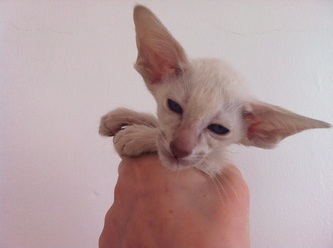 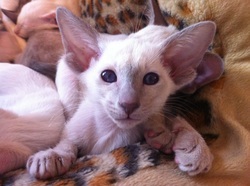 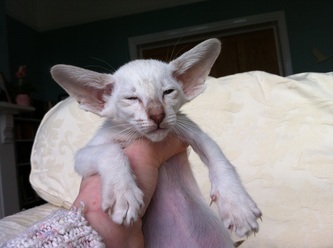 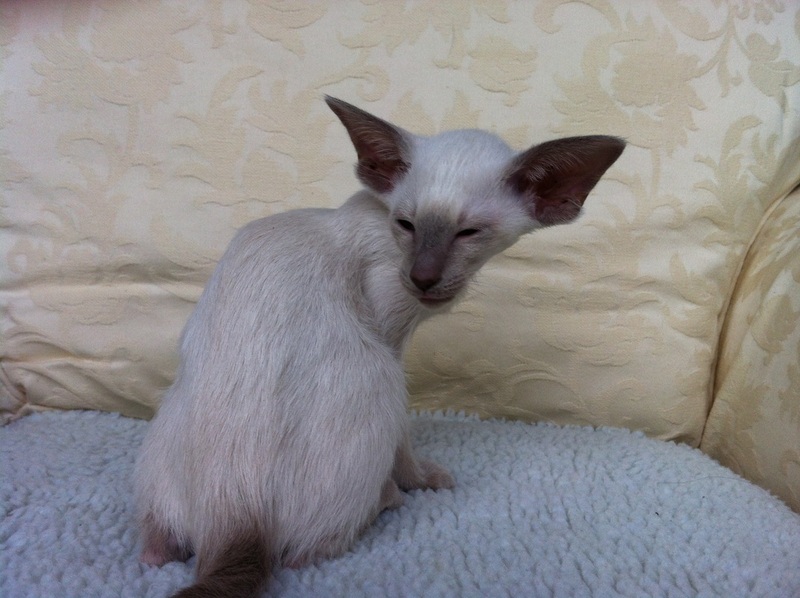 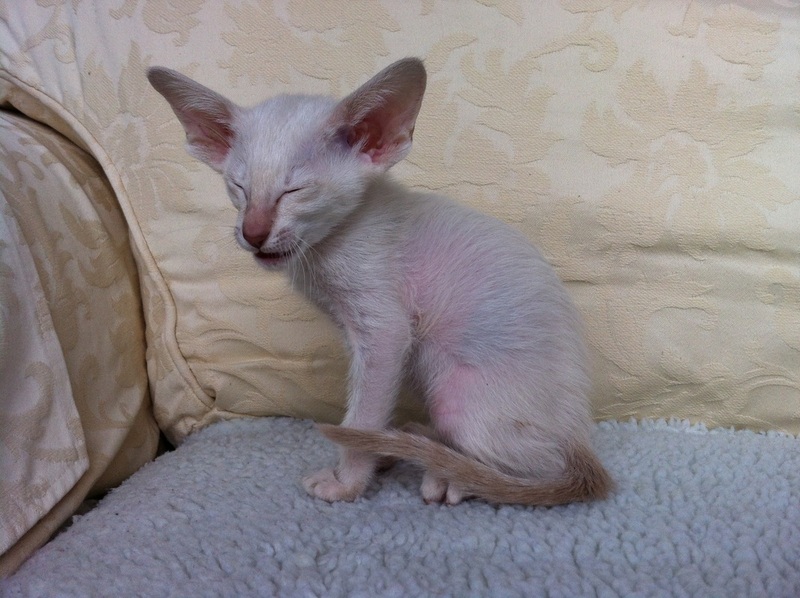 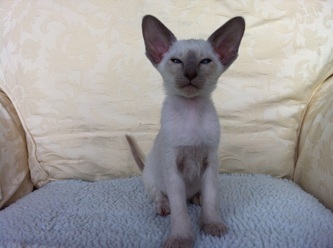 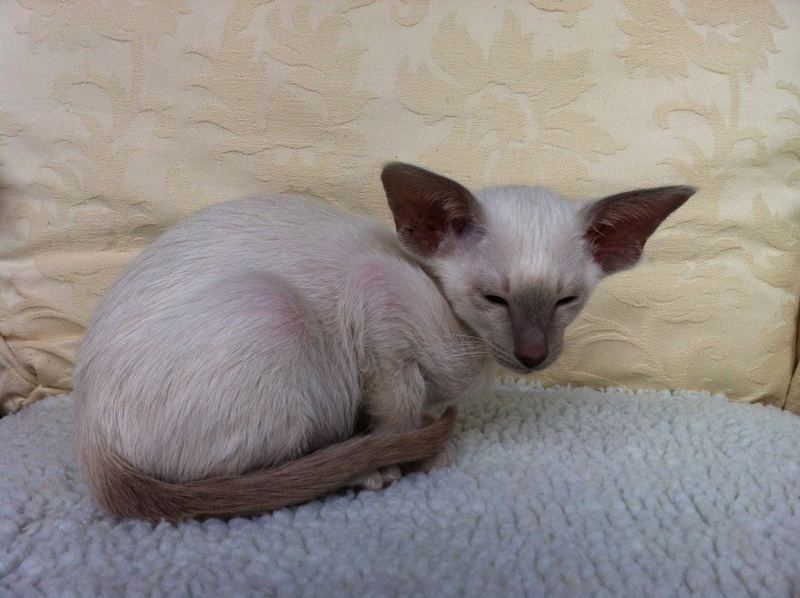 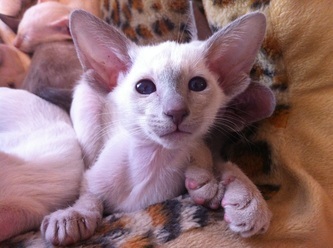 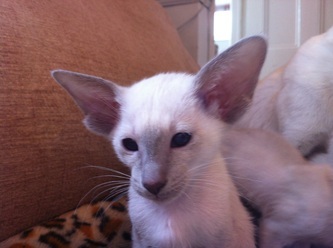 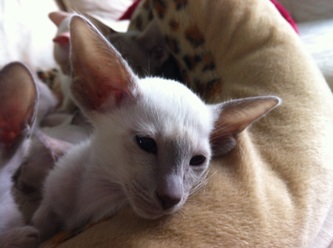 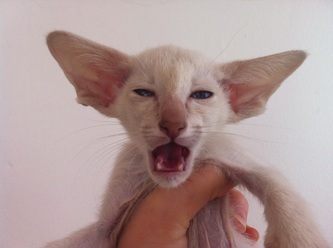 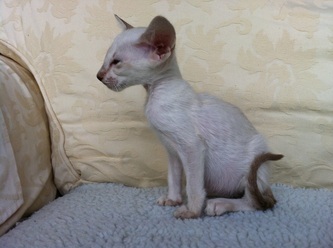 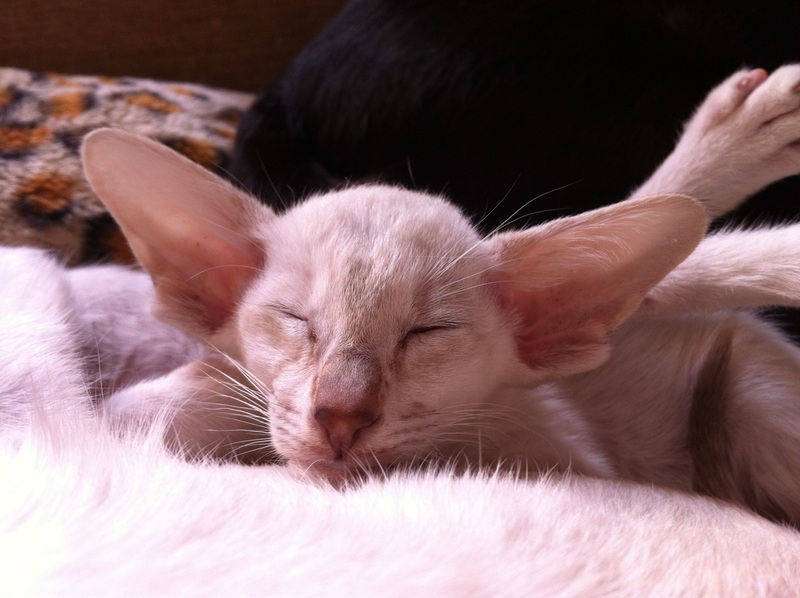 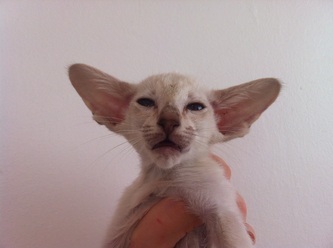 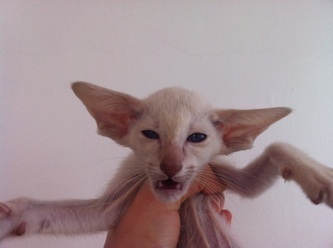 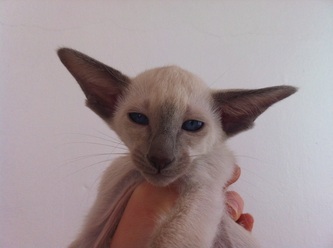 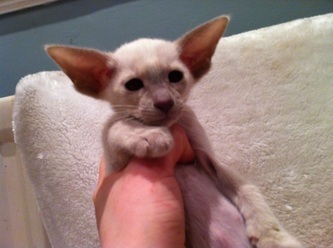 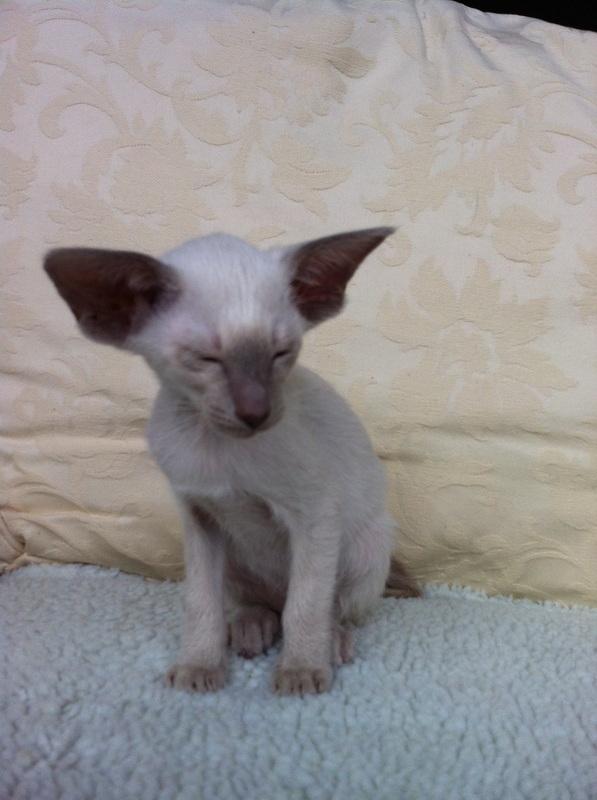 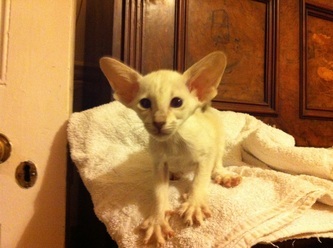 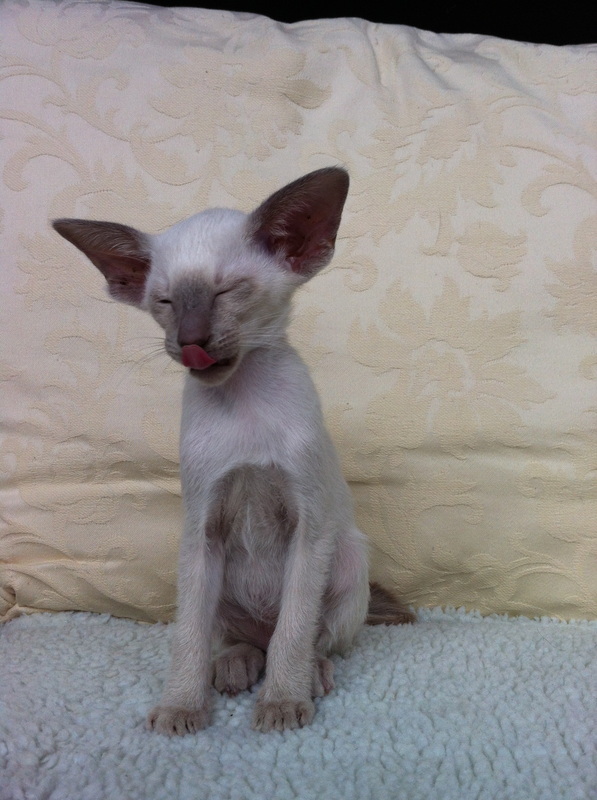 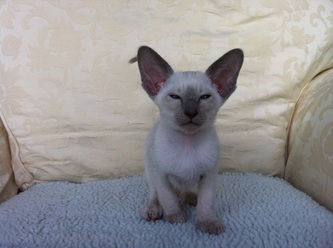 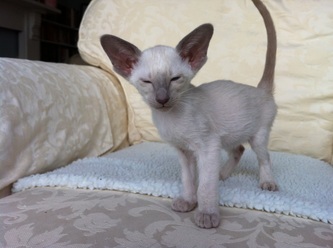 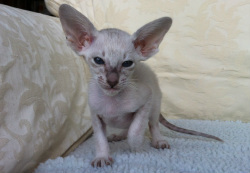 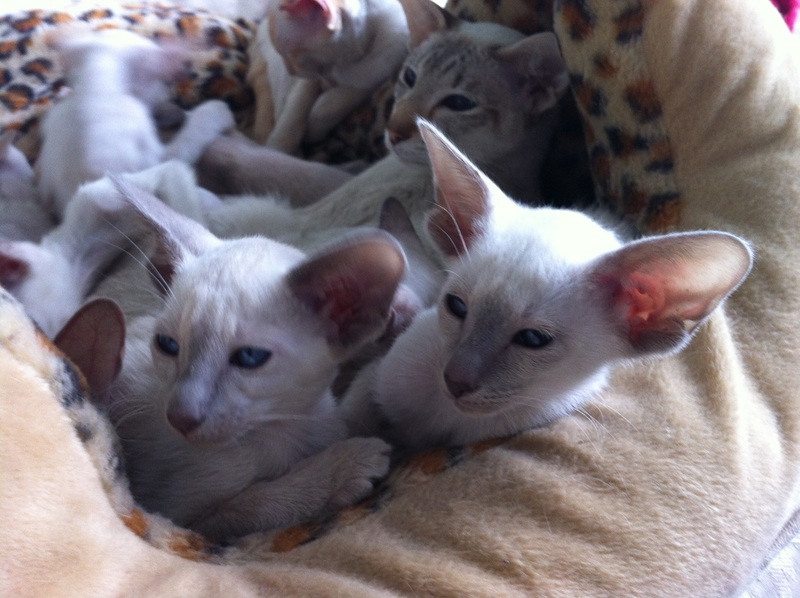 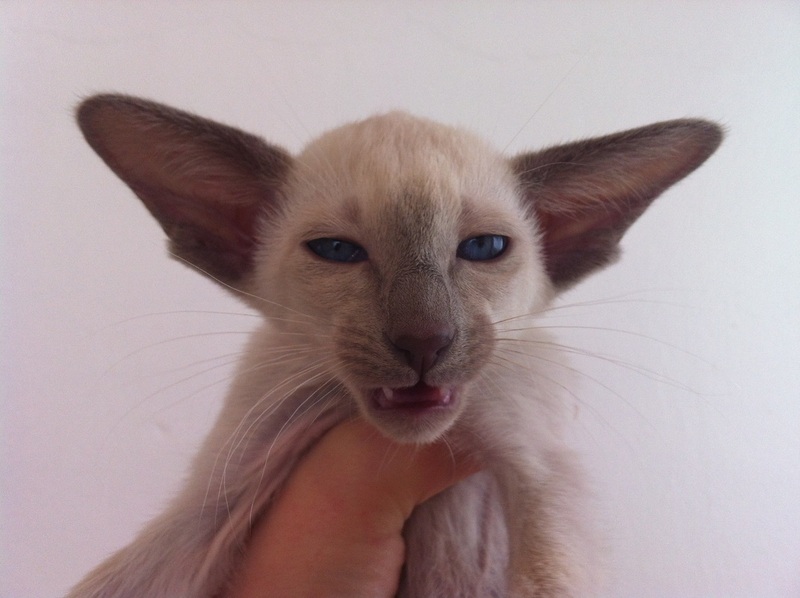 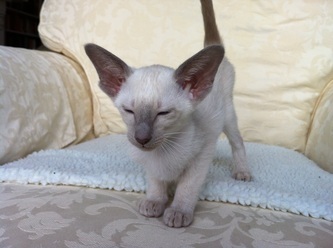 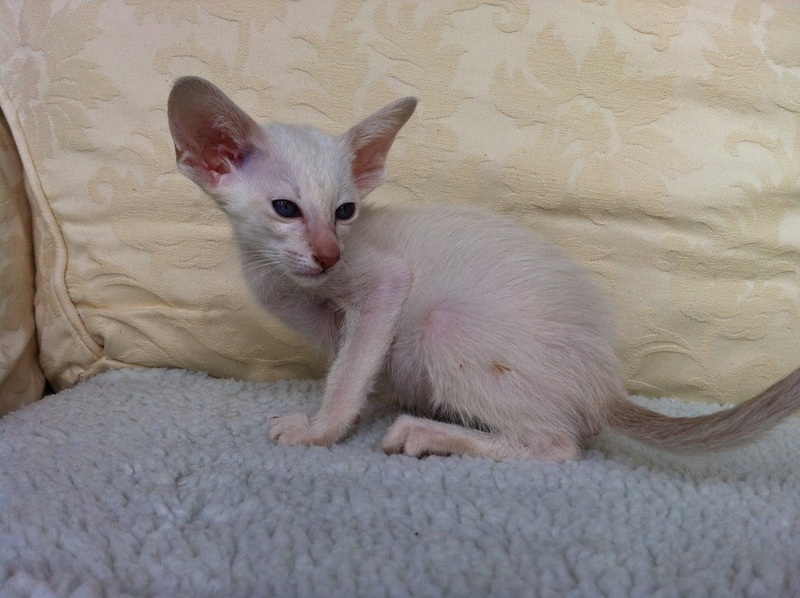 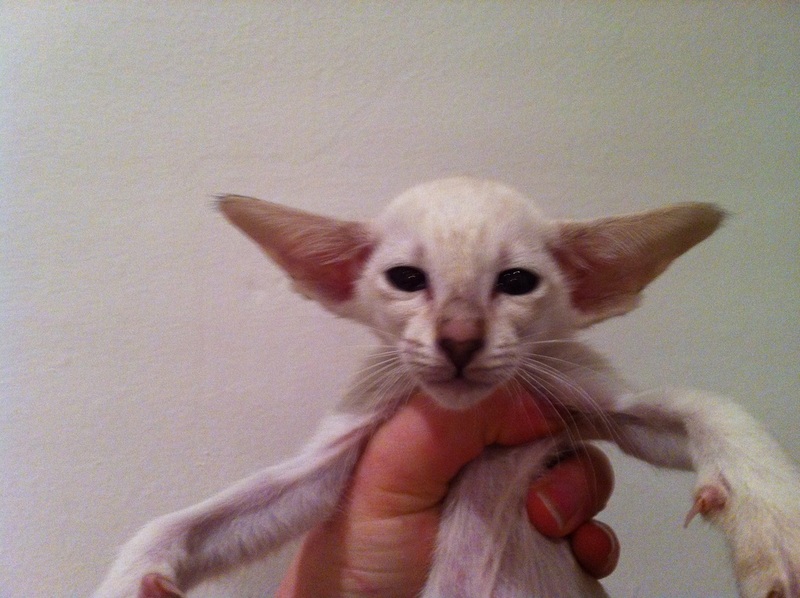 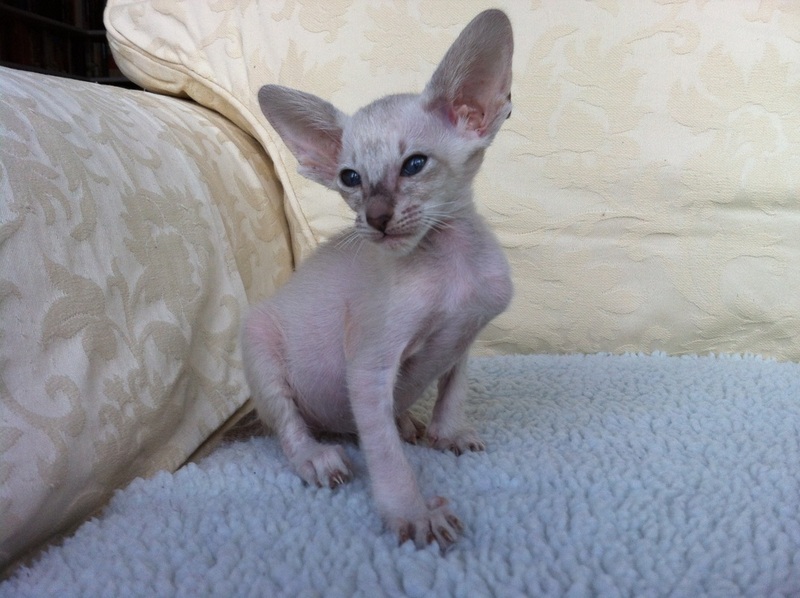 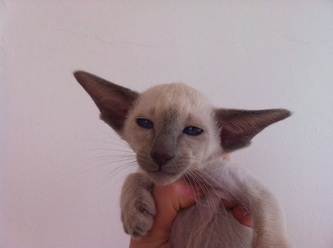 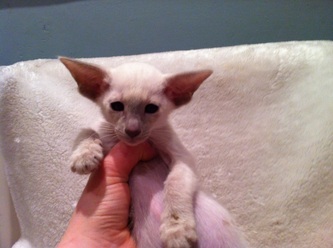 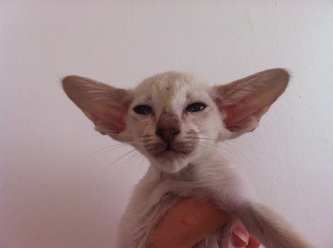 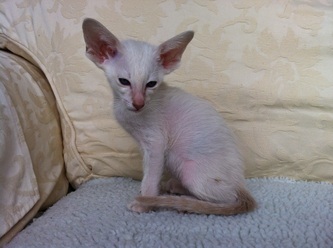 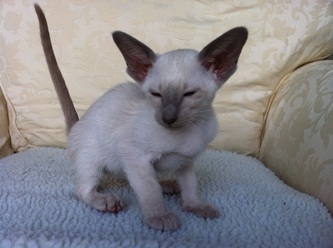 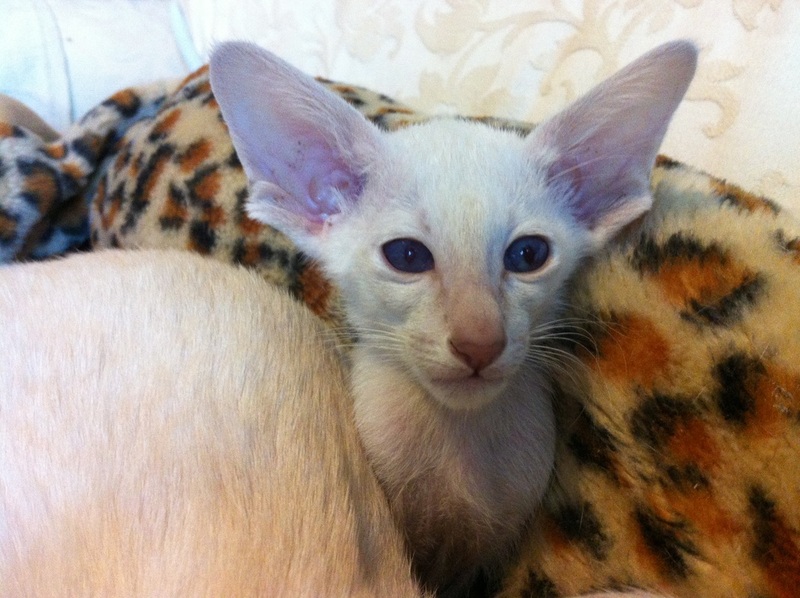 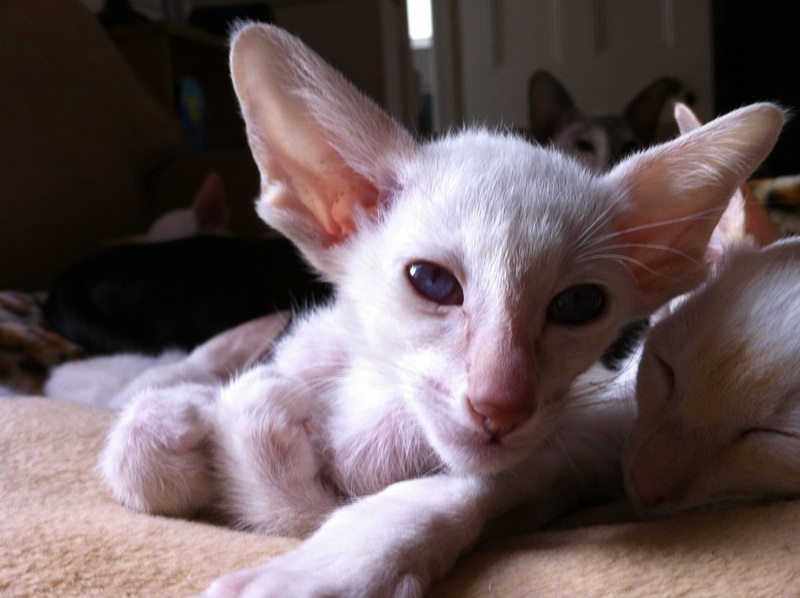 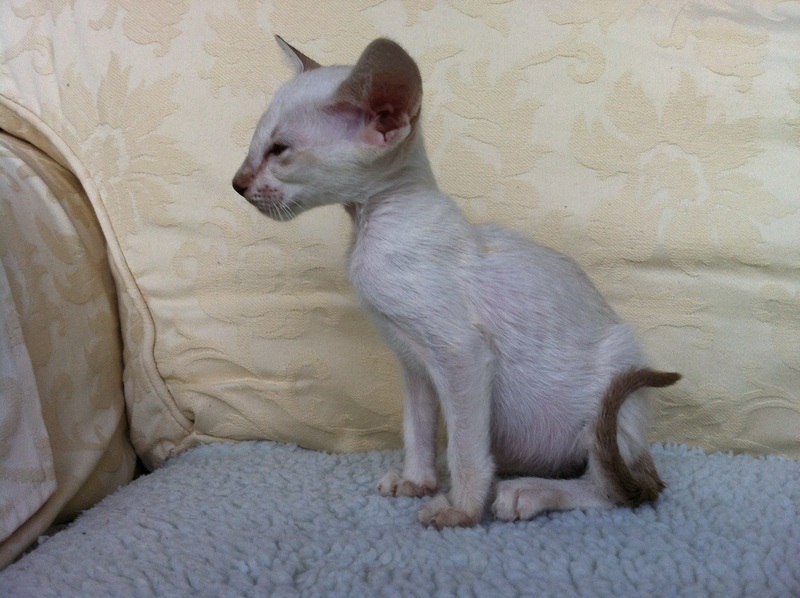 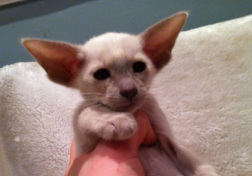 Wren is a beautiful lilac point girl. 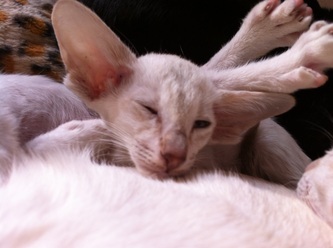 She is very confident and always like to be in the middle of the action. She also enjoys her food and has a lovely fat belly. Lark is a bit of a Walter Mitty of a kitten who likes lots of cuddles and reassurance. 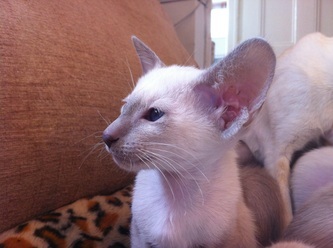 He is never at the front of all the mischief but likes to lurk at the back watching everything going on. 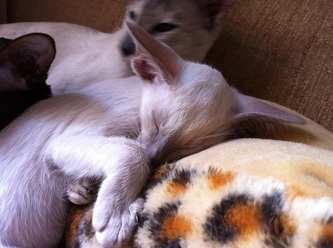 He loves attention from people and his favourite place is curled up warm and asleep on my knee.